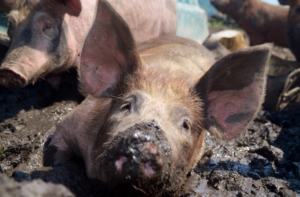 Have a read of this guest blog written by Swillington Organic Farm. 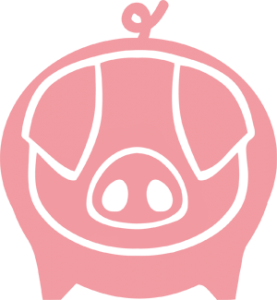 As well as being listed on our High Welfare Pork Directory, they’ve also taken the Pig Pledge: a global movement against animal factories which urges individuals to pledge to only eat meat from real farms, not animal factories – or go meat-free. At Swillington we sell what we produce directly to you, the customer. There’s no middleman, no supermarkets and do you know what that means? Far less miles travelled, if any! This is much better for animal welfare and it provides you with much fresher food, this freshness and traceability is something that is incredibly important to us and promotes the connection between field and fork. Put simply, you know exactly what you’re eating and where it has come from. We’re on a mission to change the way you think about and buy your meat. Our ‘Meatups’, held on the farm once a month, encourage locals, customers and families to come and see us. Here they learn about the farm, our values and practises, but more importantly – where their meat comes from. They can see our animals in the field, meet the people that produce it, from the farmer to the butcher, and even try something cooked up by a local chef. Farming organically for over 15 years means we farm in a more environmentally friendly way. It’s this that we believe makes the quality of our produce that much better, as we stay away from all the nasties such as pesticides and genetically modified ingredients. All of our meat comes with an animal welfare guarantee as we are strong believers that animals should live happy, outdoor lives, one of the main reasons why we were keen to get behind the Farms Not Factories campaign and showcase what happens #ontheground on an organic farm. 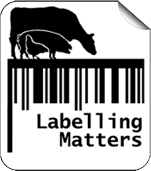 Many people are oblivious to where their meat comes from, or what the labels on their food actually mean. What’s the difference between farm assured and organic? Is outdoor bred the same thing as free range? It is questions like these that make the Farms Not Factories campaign so important and why we want to help you make an educated choice when you choose what to feed your family. We created our monthly meat boxes to make it convenient for families to buy traceable, high welfare meat. It can be hard to drive out to farm shops or get out early enough to secure the best produce at a local farmers market but ordering your meat online and getting it delivered direct from the farm to your kitchen makes it much easier. All of our monthly meatbox subscribers also receive free tickets to our ‘Meatups’. Thus, they can truly understand the value of organic farming and learn why this quality of life, unrivalled freshness and traceability, is worth paying slightly more for. Our ethos is ‘eat less meat but eat better meat’ and we hope that through campaigns like Farms Not Factories more people will choose to be greener, healthier and friendlier by choosing this approach. The benefits of knowing the real story behind the food you eat make traceable, high welfare meat a much more sustainable choice – something that cannot be said for factory farmed meat across the country. Find out more about Swillington Organic Farm, the monthly meatbox and why you should choose organic.